The time has finally come to move on. While Blogspot has been quite good to me over the last few years, The Inoculated Investor site has a new permanent home. From now on, all of my posts will reside on Cove Street Capital blog site at: http://covestreetcapital.com/Blog/?cat=14. For readers who are used to accessing my posts through their RSS feed or through emails that go out when I post, I ask you to visit http://www.covestreetcapital.com/blog/ and sign up for the RSS feed or the email distribution list. Or, you can just bookmark the site. Regardless, my goal is to make the Cove Street site home to the same caliber of content that has made this site such a surprising success. Don’t worry though, this site will live on and provide access to all of my historical posts. For those of you who come to this site for the notes from the Berkshire Hathaway Annual Meeting and other events, they can be accessed by choosing the “Conference/Speaker Notes” link on the right-hand side of this page. I sincerely hope that this is the start of something new and that you will continue to follow me and my career at Cove Street Capital. I leave you (fittingly) with notes from an investing-focused event. 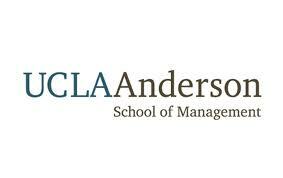 If you want to hear what speakers such as Steven Romick of First Pacific Advisors and Howard Marks of Oaktree Capital had to say at the recent UCLA Anderson Investment Conference, click here to access my post that includes a link to the notes in both Scribd and Google Docs formats (located at the very bottom of the page). Thank you for all of your support and for making my initial foray into the blogosphere an enjoyable process.